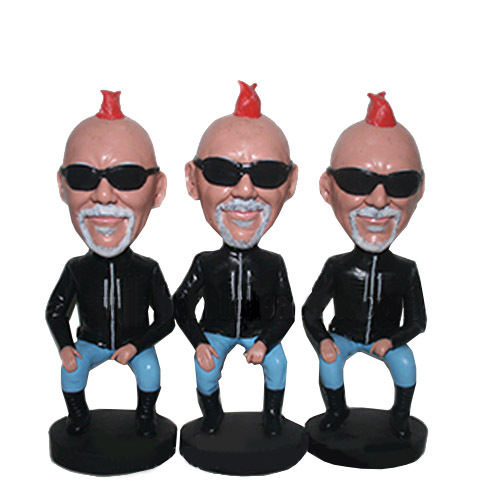 Wearing the black race suit with boots and sun-glasses, this custom motorcycle bobblehead is so cool. Without the motorcycle beside, he was always balanced and poised. 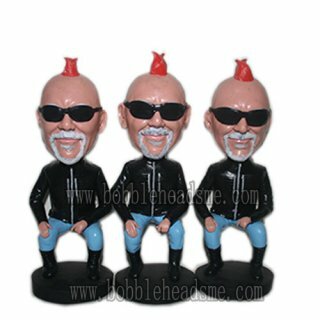 This personalized custom bobbleheads is especially designed for F1 fans. By making their face bobbling atop this body, they will bobble with the joy of victory.